Some may remember that in April of last year the media wrote about an amazing fact that shocked doctors from around the world. 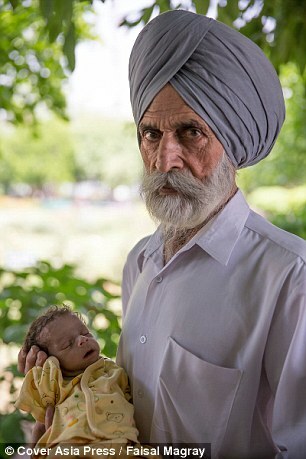 A resident of India, Daljinder Kaur in 72 years gave birth to a son. 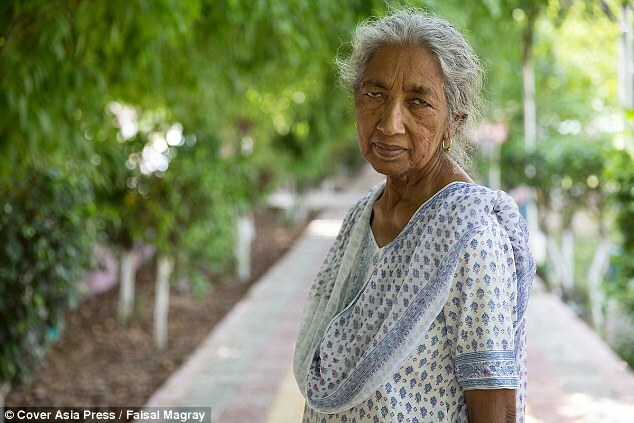 Before that, she had lived with her husband for 46 years, but she could get pregnant. Of course, she managed to get pregnant with IVF, but the fact that she gave birth to a baby surprises! Not surprisingly, there were those who criticized the new parents. Someone was genuinely glad for the happy couple. Now, 11 months after the birth of her son, Daljinder talked about the consequences that followed after when she became a mother. 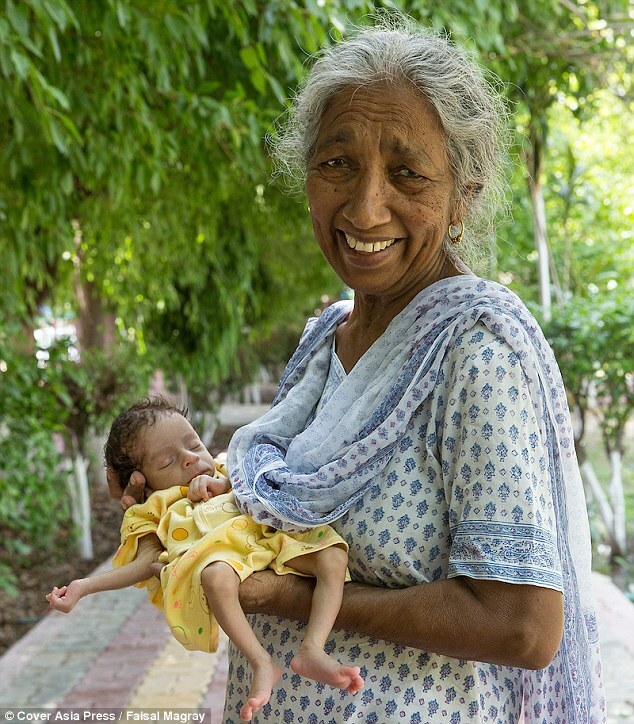 Daljinder admitted that motherhood was given to her much harder than she thought. She began to get tired quickly, and there were problems with pressure. Now her son Armaan has started to crawl, and Mom has to spend most of the time on the floor, which is not so easy for a person of her age. Daljinder visited many doctors, but they shrugged, explaining her state of age. Doctors prescribed vitamins and a diet that did not help much. The father of the boy is already 80 years old, and he began to get sick due to age too often. However, he finds strength and helps with the upbringing of Armaan. It should be noted that the boy is very attached to his father. Parents are very concerned about the health of the baby. He will be one year old on April 19, and he never gained the weight that corresponds to the children of his age. 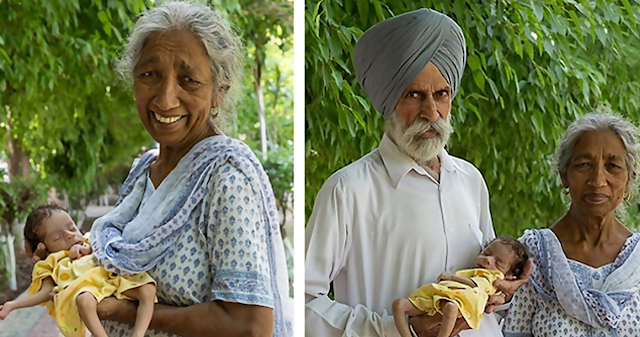 Daljinder stopped breastfeeding him when Armaan was at 3 months old, explaining that she had practically no milk. Mom took the boy to the doctors in the hope that they will write out a recipe that will help the baby to get stronger. They only shrugged their shoulders, saying that he would do it naturally in the course of time. Daljinder and her husband openly admitted that they are tired of taking care of themselves and the baby, but they are doing everything possible to raise a healthy and strong child. Parents do not turn to nannies for help, because they are sure that there is nothing better than parental care. Despite all the difficulties, the couple does not regret that they decided to take such a serious step. Daljinder reports that all difficulties are forgotten when their Armaan crawls to them with open arms. He is a very smiling and joyful boy. When he is one year old, parents plan to visit with him one of the temples with the hope that God will give the child strength. 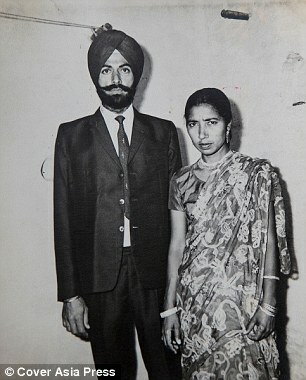 Daljinder and her husband are not expecting help from outside. They only hope that people who have heard about their history, will pray for their son and wish him health. We wholeheartedly wish Armaan and his parents to be healthy and live a long life. The case is very unusual, but is it possible to criticize people who have dreamed of a child for so many years?